Happy first day of autumn from TLC! Our preschoolers grew their own pumpkin in the TLC garden. This month, we wished TLC teacher Amanda Brunning a happy maternity leave as she left (for three months) to adopt a beautiful baby boy; we continued preparing for our 60th Anniversary party (you're invited! 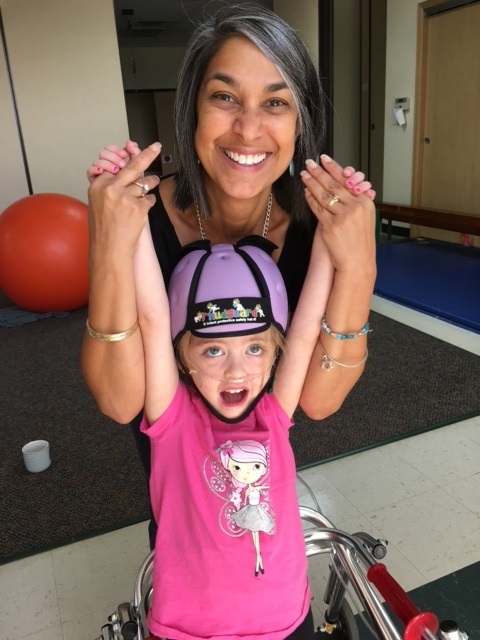 ); we joyfully welcomed TLC preschooler Clara back after a stay at Children's Hospital; and we continued serving children with high quality preschool and pediatric therapy services. 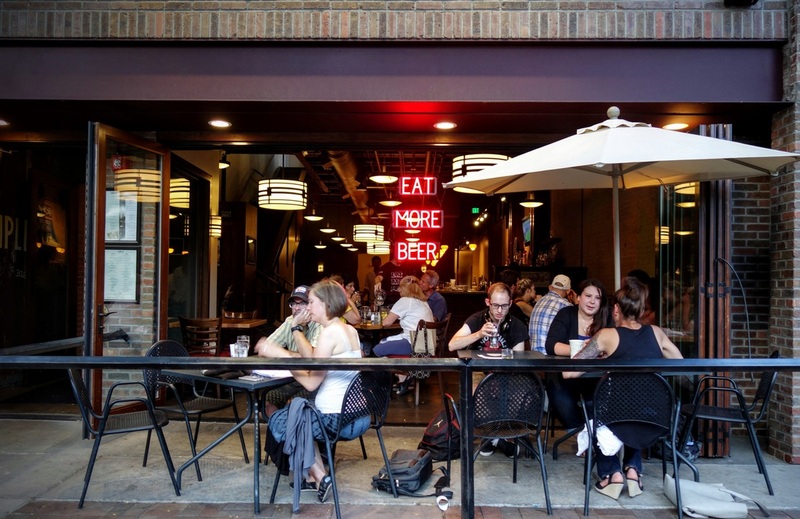 Read on to learn more about what's new or upcoming at TLC! We've added an FAQ page to our website. Do you think we missed anything? Do you have any unanswered questions about TLC and what we do? Email Amanda at aboldenow@learningwithtlc.org to help us make the FAQ page the best it can be. Join Us to Celebrate 60 Years of Service! 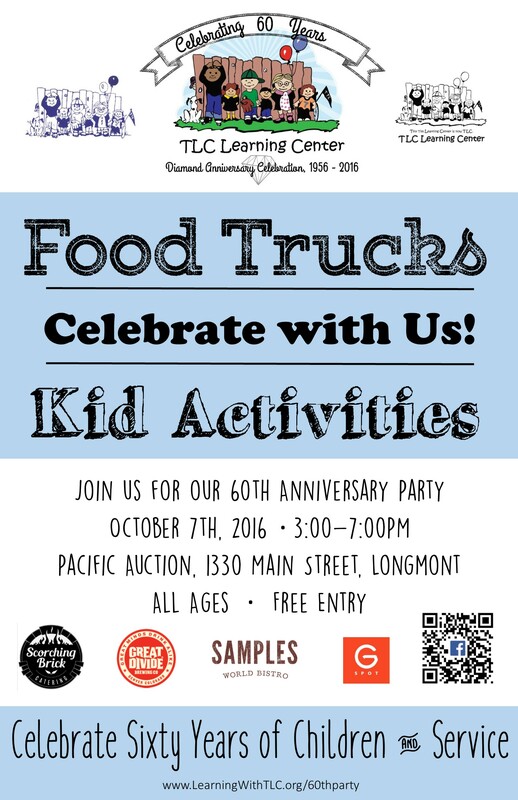 TLC Learning Center is celebrating 60 years of serving Longmont and the Boulder County community from 1956-2016! You’re invited to a party honoring all of the past and present alumni, friends, family, staff, and board members who have contributed to TLC’s legacy of providing high quality early childhood education for children of all abilities. Join us for food trucks, breweries, speakers, kids activities (including a bouncy castle and face painting), speakers from throughout TLC’s history, and much more. Christmas Tree Festival tickets will go on sale at this event! Entry to the party is free, so come help us celebrate with food and fun! On Tuesday October 25th from 4:00 to 9:00 PM, TLC will receive 30% of all proceeds from people who eat at Sample's and mention that they’re there to support TLC. We hope to see you there!